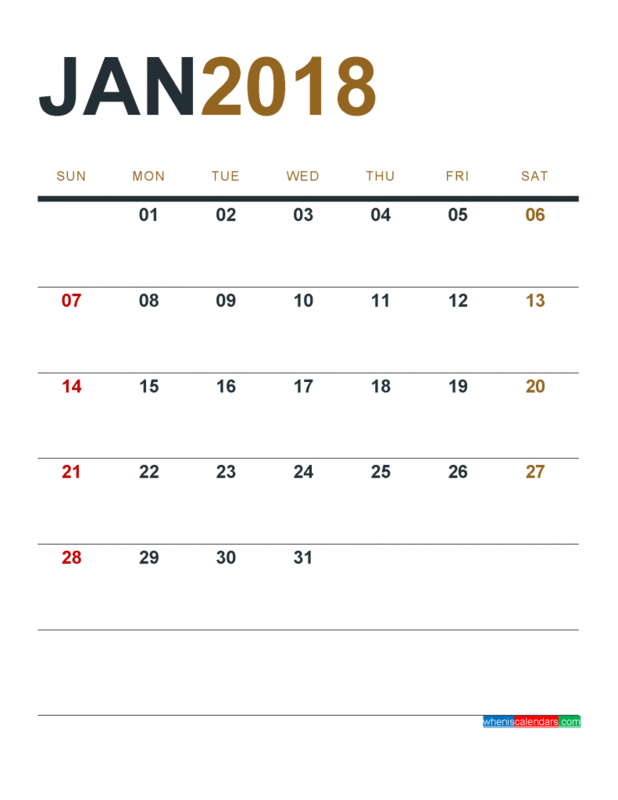 Download free 2018 Calendar Printable monthly calendar in PDF and Image file (1 month in 1 page), that you can easily edit and print using PDF and image (png) format. This 2018 monthly calendar template has a Sunday to Saturday format and runs from January to December 2018. With this monthly calendar, you need simply to download and print. It couldn’t be easier.